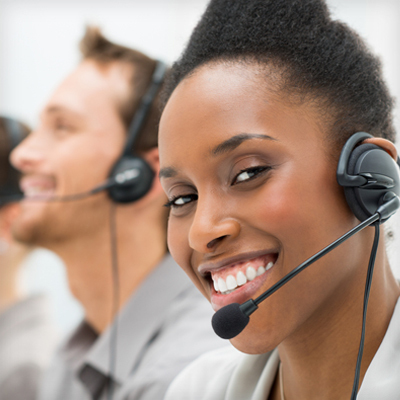 Should Delight Take a Backseat to Customer Service Efficiency? When it comes to providing stellar customer service, consumers prefer that you cut to the chase rather than provide a personalized experience. While that flies in the face of conventional thinking, findings from a recent survey from IntelliResponse indicate that it is indeed the case, and some industry experts agree. The survey asked 1,000 U.S. online consumers what type of relationship they want from the companies they've made purchases from. Fifty-nine percent of respondents said they would like a transactional relationship in which they receive efficient service. Just 24 percent characterized their relationship as a friendship, in which they get personalized service. "The survey has gotten some folks riled up who believe that delighting customers should be the overarching goal when it comes to customer service," says Mike Hennessey, vice president of marketing at IntelliResponse. "This study may have made people say, 'Our whole reason for being is to try and delight folks and make every interaction the best thing they've ever seen.' But what the data is telling us is that customers don't really want that." Donna Fluss, principal at DMG Consulting, says that this is not "counterintuitive but countermarketing. These ideas come out in the marketplace, and all of a sudden it's important to have a chirpy agent rather than one who's fully trained," she says. Hennessey says that the while IntelliResponse is focused on digital channels, the survey results are similar when customers are calling into the contact center. Efficiency is all about understanding intent and providing quick and easy access to the right information. "When you get a chatty contact center agent and either they're taking a lot of time to explain services that you're not interested in or trying to upsell you things that are not germane to you, people are like, 'Can you just help me solve my problem and let me get off the phone?' This is a task and not something that people enjoy doing," Hennessey explains. Fluss echoes those thoughts and says that, first and foremost, customers want correct answers in the very first phone call they make. "Everything else is gravy. If someone's looking to buy something, they're not looking for a comedy act." The IntelliResponse survey also found that 74 percent of consumers think they should be able to get the same answers from a company's Web site that they can get from talking to a contact center agent. That number bears out, considering that 68 percent of the survey respondents said a company's Web site is the first place they go when they want information about a service or product. Preference of efficiency versus personalized customer service may also be age related. Although Gen X or Gen Y may not be dependent on personalized interactions, customers ages 40 and older are less transactional and may desire a personal touch, says Sean Hawkins, manager of technical support and support engineering at iContact. "They want an emotional connection," Hawkins says. "I can see why younger customers would want a transactional relationship but I still think that there's a huge need to use traditional channels such as support phone calls and emails. "There's always going to be a need and a place for personal interactions. You have an obligation to meet your customers wherever they are," he adds. Can You Be Delightful and Efficient Simultaneously? With that said, is it possible to offer your customers delightful service and be efficient at the same time? The answer is yes. The two are not mutually exclusive. Hennessey agrees that it's not an "either/or" situation. "I think you can do both," he says. "But in your efforts to try and delight your customers, don't overlook the most important element in a good customer experience and that is efficiency and access to information." Fluss says that the survey findings don't mean that agents shouldn't be trained to be delightful, but above all else, they should be armed with product and service information. "First, you need to know what our customers are calling about," Fluss says. "That earns you the right to go on. If you resolve their issue it earns you the right to upsell. People should always be delightful, that's a given. It's not one or the other." Whether it's a personalized or transactional interaction, delighting your customers will always have a place in customer service, Hawkins says. "I tell my agents all the time, I don't care if it's chat, phone, or email," he says. "Something should be said or given that brings a smile to a customer's face. Put yourself in the customer's shoes because at some point we're all customers to someone." A new virtual agent provides real-time voice of the customer data analysis gathered from omnichannel environments. The solution also automatically structures information and allows organizational departments to identify and compare customer trends. Virtual assistant technology brings Salesforce technology to consumers' level. Latest intent-based solution helps companies improve clicks and conversions across online customer service channels.